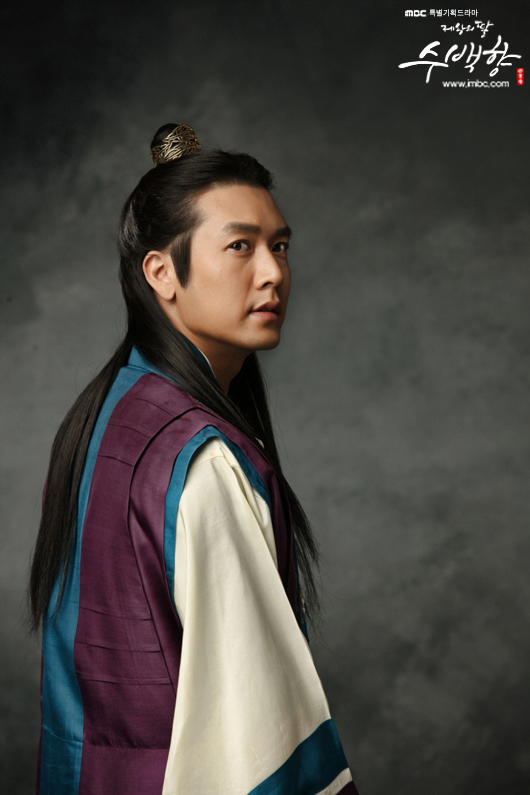 King’s Daughter is a daily sageuk on MBC and it is slated for a 120 episode-run. I did saw some news about it when it first aired but the number of episodes drew me away back then. “There’s no way I can stay with the drama until the end,” I thought. Even though it’s like watching a 60-episode drama which has a running time of an hour per episode, it’s not easy. But then, I started to hear good things about the drama, especially from my fellow friend NewKDramaAddict (read her thoughts about the drama here). She kept raving about the goodness that is the lengthy King’s Daughter and I couldn’t help but to be intrigued of the drama. I started to gather the available episodes but as I watched the first four episodes, I decided to wait for more episodes to be available. But I was craving for a good sageuk, so I decided to continue watching it. The title explains the basic plot of the drama: it’s about the daughter of King Muryeong of Baekje, one of the Three Kingdoms in the ancient Korea. Just like other drama, the story is not simply about the daughter but also the people around the king and the princess. 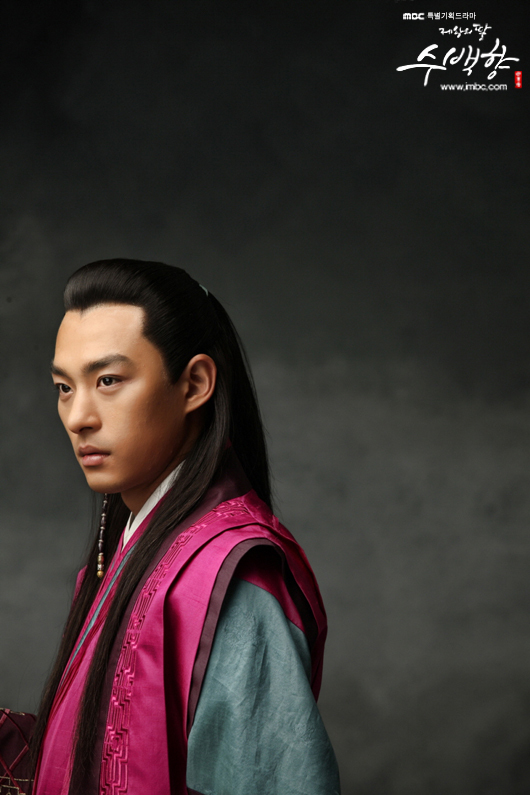 Muryeong, or his personal name Yung, starts up as a General serving his cousin, King Dongseong. He continues to win the battles which he’s sent to, something that might have lit the jealousy in the King’s heart. At the same time, he’s in love with Chaehwa, the daughter of a court official Baekga. Things get complicated when Baekga plans to assassinate the current King whom he deems weak and puts Yung on the throne, eventually making his own daughter the Queen. Another official, Naesuk, becomes the source of misunderstanding between Yung and Baekga and in the end, Baekga is accused to be a traitor for killing the king. Yung, out of his loyalty to the late King, attacks Baekga’s side despite Chaehwa’s plea. He chooses his loyalty over his love and Chaehwa chooses filial piety over her love. Baekga takes his own life per Yung’s order for his daughter’s sake since Yung promises to take care of her, but the attack nearly costs her own life. Luckily, one of the household servant who is mute and deaf, Kucheon, saves her just in time and hides her in the cave. She tries to kill herself but decides against it, since there’s another life inside her. Chaehwa is actually pregnant with Yung’s child but fails to tell him. In order to make Yung ascend the throne, Naesuk lies to Yung that his lover dies in the attack. Chaehwa eventually comes to live in a small villagein the neighbouring country Gaya together with two widows and their sons. Yung becomes the King in order to protect Dongseong’s son Jinmu from any harm but not before he switches his own son Myungnong with Jinmu, so that Jinmu becomes the Crown Prince Myungnong and Myungnong lives as Jinmu. Kucheon stays beside Chaehwa as her protector and she gives birth to a baby girl, whom she calls Seolnan instead of the name that Yung gives her: Soo Baek Hyang. She knows that Kucheon likes her but Chaehwa is thinking of paying her deeds before leaving him. She realizes that her fate with Yung has ended and decides to accept Kucheon as her husband after he manages to retrieve her father’s remains to be properly honoured. Two (or three?) years after having Seolnan, Chaehwa gives birth to another girl named Seolhee. Years later, both Seolnan and Seolhee grow up to be two pretty ladies with completely different personalities. Myungnong and Jinmu also grow up to be fine men in their 20s. 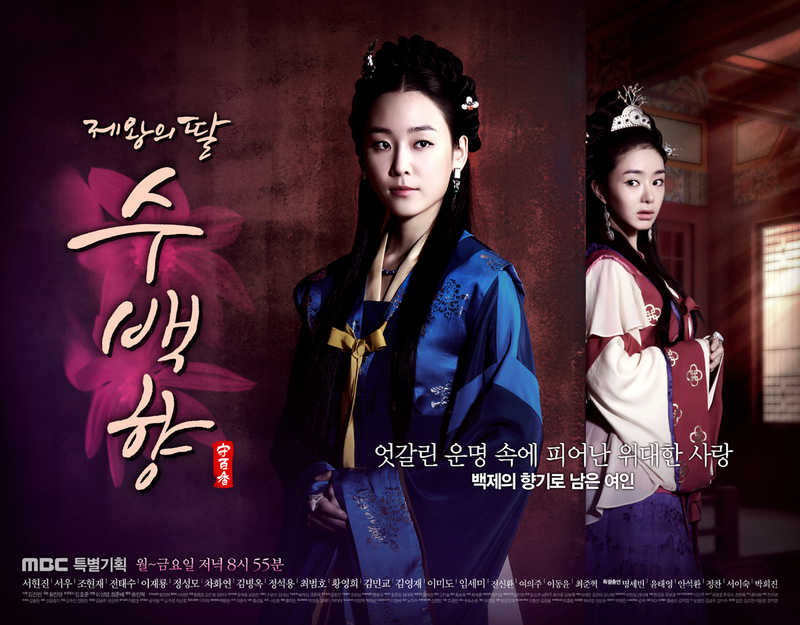 Jinmu is ordered to live outside the palace under the care of Official Yeon, who is still thinking that Yung was a part of the late King’s assassination. Hence, Jinmu is always reminded of it by Yeon. Seolnan and Seolhee spend their quiet and peaceful life inside the rural village, but Seolhee continues to dream of something bigger for her future. The two ladies are different: Seolnan is rough and simple-minded while Seolhee is beautiful and ambitious. Seolnan will do anything to protect her little sister from any harm and cherishes her little family but Seolhee is not happy living in the mountains and she feels ashamed of her own father. These two girls are being chased around the two boys in the village, Kkomak and Yeonggu, and their parents are also thinking of pairing the girls with the boys. At the same time, Yung, now King Muryeong, plans a visit to Gaya to persuade the King of Gaya, Sunimun, regarding the jade trade. Jinmu, who has been living recklessly all this time, decides to assassinate Yung during the trip. The plan fails, but at the same time, Naesuk finds out that Chaehwa is living well in Gaya together with Kucheon and her two daughters, with one of them being Yung’s daughter. Naesuk tells the truth about Chaehwa to Muryeong and he goes to meet her. Chaehwa is shaken up and goes to meet Yung but she can’t bring herself to show her face in front of him. Kucheon knows that she still love Yung after all this while. Jinmu also get to know about Chaehwa being alive and decides to pursue her, the daughter of the man who killed his father. In the process, the whole village was massacred but Seolnan manages to escape, together with Seolhee and Chaehwa, who is rendered blind because of the attack. Myungnong finds out about Chaehwa and goes to persuade her into meeting Yung but he is a step too late since Jinmu has ordered for the village to be burned. Chaehwa realizes that she’s not going to live and tells everything about Seolnan’s real identity to Seolhee, whom she mistakes as Seolnan. She doesn’t get to tell the whole thing to Seolnan and passes away. Yung goes back to Baekje, still in the dark about Chaehwa’s fate as the girls mourn for their dead family. Seolnan and Seolhee work at a tavern while collecting information about the bandits who attacked them. Seolhee takes the chance to abandon her sister and runs away to Baekje with the hope to find Yung. Seolnan thinks that her sister has been taken away by the bandits and vows to find her at any cost. While tracking down the bandits together with Ddoldae and Manggu, Seolnan runs into Myungnong and his secret group Bimoon. Having heard about Bimoon’s skills in finding anyone, she asks for Myungnong’s help to find her sister and he agrees to do so, with a condition that she herself has to join the group. She passes her test and follows him to Ungjin, Baekje’s capital. Seolnan enters the palace and begins the torture of getting into Bimoon: harsh training and stuff as Myungnong continues to watch over her. Although she’s not strong compared to the other men, Seolnan continues to remind herself of her target that is to find her little sister. Meanwhile, Seolhee arrives at Ungjin and sends a public appeal to the King since she can’t meet him directly. She manages to get his attention when she tells Yung her name: Soo Baek Hyang, and Yung has a private audience with her. Seolhee shows him Chaehwa’s hairpin, proving that she’s her mother’s daughter. Yung is shocked to hear that Chaehwa has died and he feels guilty over her death, which might be caused by the people who is after him. She lies to everybody, saying that her whole family died in the attack including her ‘younger’ sister. Jinmu recalls meeting her before when she was searching for Seolnan, but she manages to fend off his suspicion. Yung formally appoints her as a princess and Seolhee continues with her own lies although she misses Seolnan at times. So far, I really like how the story is told and the drama makes me care for the characters. 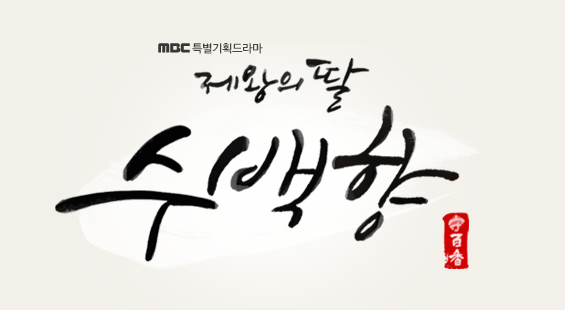 There are many subplots but all of them manage to catch my attention and I don’t feel bored while watching the drama. It’s easy to zone out while watching a sageuk, especially when the court officials are continuously plotting against the poor king, but in King’s Daughter, the officials are not that evil…and they are so kind. The politics are balanced out with the love story and so far, it’s quite fascinating to see family ties being a main plot besides the romantic lines that will form later. Seolnan might come out as an overly positive character but that’s her charm. I can’t help but to smile when she smiles and keep wishing that she will succeed in whatever she’s doing. Every time fate is against her, I keep cheering for her although I know that she will be able to overcome it, being the main character and all. I’m rooting for her, the tough cookie who is too protective of her sister and will go crazy over a chicken. That’s Seolnan for you. She’s rough on the edges but underneath that boyish attitude, she’s a sweet girl with brain and able to melt you with her kind heart. Myungnong, another kind soul that will do anything for his father but at the same time, he knows that he’s nothing more than a crown prince to him. He keeps everything to himself and although the first impression I have of him is that he is stern, but he’s one funny guy. I totally didn’t expect to see this side of him, but Myungnong is so picky and a clean freak, on top of it! He’s one of my personal comic relieves in this drama but he’s got the aura of a crown prince. I like it when he’s all serious and it’s a bonus if he’s smiling. I wish to see more of his interaction with Jinmu because they seem to be best buddies since they were young. Another character that I like so far is Naesuk, Yung’s closest advisor. He turns out to be so supportive of Yung and truly wishes for the King’s well-being. I didn’t expect for him to admit that he lied about Chaehwa’s death to Yung and he even helped to find her. I’m quite surprised to see such a sincere official and he can be funny at times. I adore his relationship with his daughter, the Queen. So cute! Ah, now that I’ve mentioned the Queen, she’s truly a baby! The Queen is adorable in her own way: being married off in such a young age, she’s still childish and her antics are a source of headache for her attendant. With Seolhee in the palace, she’s more than happy to have another young soul beside her. I can’t wait to see more of her! There are more characters but I don’t want to spoil the joy of watching the series. Just go and watch it if you have some time to spare! I have reached episode 31 and it’s still long way to go until the current episode (79 episodes have been aired as I am writing this post), let alone the end, but I am LOVING it! I can guarantee that there are lots of things to love about this drama: the tears, the laughter, and the heartaches. King’s Daughter, Soo Baek Hyang, I hope I can stay with you until the end! Fighting~! I am in Nigeria and I have watched this thrilling and sensational drama up to episode 75 but couldn’t get the remaining episodes from any of the stores around. Can somebody help with how I can get the remaining episodes. It seems as if my entire being is hanging aloof with the remaining unseen episodes. Please helppppppp………………… I love all the casts. They made the drama worth seeing over and again. does solnan find out that she is su beak hyang yet? It’s 2016 and I just discovered this drama. I’m on episode 35 and I am so addicted that I can’t stop watching it. I so much love want to discuss this drama with fellow avid viewers unfortunately, I came too late in the game. But I’m still glad in finding reviews and fans singing praises for this drama. In my more than 10 years of watching Korean dramas, I haven’t finished anything that is more than 24 episodes and a sageuk at that. But I think this is about to change.